For many across South Jersey, civic pride is a big thing and the old saying “There’s no place like home” rings plenty true. So it’s no surprise that our annual Top Towns rankings are something we hear about from readers and local officials throughout the year. Months ago our phones began ringing with area mayors and the like wondering when we would publish 2012’s results, eager for us to divulge who sits where. 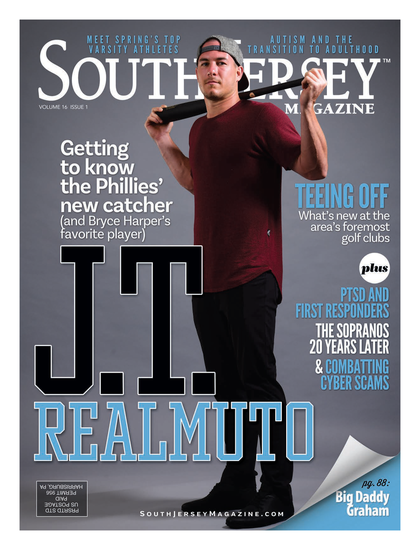 Well, the time has arrived to put a spotlight on why South Jersey is an ideal place to live, work and play. You’ll see many familiar names on this list, along with some newcomers. Perhaps, the most noticeable change is the fact that for the first time in recent years, Haddonfield has slipped from the top spot, with Medford sliding into the No. 1 position. Now, Medford’s struggles are no secret; in fact, we’ve recently documented some of the major issues with the township’s municipal government. However, that doesn’t take away from the overall quality of life—property values remain high, crime remains low, and the local school system is flourishing. For the third year in a row, we have worked with Niranjan Pati, dean of the Rohrer College of Business at Rowan University. Utilizing the statistical method known as the analytic hierarchy process, assigning weights relative to each criterion by completing pair-wise comparison and keeping things in check with index and ratio calculations that ascertain consistency, Pati spent months studying all the data. That data, gleaned from 2011 figures, included average residential property value, low residential taxes per average residential value, crime incidents reported per 1,000 people, and high school performance (SAT scores, proportion of college-bound graduates, and the rate at which students passed the statewide proficiency test), in addition to new criterion such as the number of physicians in the area as well as recreational offerings. The rankings were split between towns with populations of more than 8,000 and those with fewer than 8,000 residents. The results not only led us to a new No. 1, but produced shakeups throughout the list. Cherry Hill, not ranked in 2011, catapulted to No. 6. Glassboro, a town undergoing a bit of a resurgence, thanks to Rowan’s expansion, made their debut at No. 21. Meanwhile, West Deptford, also new to the list this year, jumped all the way to No. 3. All told, of the 25 towns, 13 are in Burlington County, seven in Gloucester and five in Camden counties. While this is just one example of how to calculate this data, we can assure you that the results are unbiased and should be used as a guide for readers to delve deeper into the numbers. Read on to see where your hometown ranks and check out our spotlight on this year’s Top 10. After spending three years at No. 4, this affluent yet quaint suburb has jumped to the coveted top spot, and with plenty of reason. Medford is known as a community that’s close to everything yet far from it all: the city and Shore are both within a 45-minute drive, yet the neighborhoods nestled in the Pine Barrens give residents a quiet break. With a competitive school system and sports programs, sprawling parks and even a canoe trail, Medford is often ranked as one of the best towns in the region to raise a family. The JCC Camps at Medford, which includes a lake, several pools, a petting zoo and more, is the largest Jewish day camp in all of North America. There are shops and boutiques throughout the township, but it’s downtown Main Street that attracts antique lovers from across the region, with vintage jewelry from the ‘20s at The Way We Were; an eclectic mix of antiques and handmade items at the Medford Company Store co-op; and plenty more along this colonial-era destination. Kirby’s Mill (pictured), a grist mill from the 1700s—which was also the last operating mill in the state—is on the National Register of Historic Places. Stop by for the annual Apple Festival in the fall, the perfect time to witness first-hand the way life used to be in this working town. Braddock’s, named after one of the original families that settled here, offers fine dining—paired with cooking classes and wine tastings—in a beautifully preserved atmosphere; while nearby Cafe Rouge serves up casual plates in a quaint setting. The Italian fare at Iliano Cucina Mediterranea is sophisticated and satisfying. The range is broad: anyone from sports icons including Mitch Williams, Greg Luzinski and Carl Lewis to R&B singer Dee Dee Sharp of “Mashed Potato Time” fame. Consistently ranked atop our list, this well-heeled community seemingly has everything, from a nationally recognized school system to a walkable downtown area full of boutique shops and notable restaurants. A rich history that dates back to 1682 (did you know that New Jersey transitioned from a colony to a state at the Indian King Tavern? ), Haddonfield is also a hit with the younger set who enjoy the suburban life along with close proximity to Philadelphia. The town served as the inspiration for the fictional Haddonfield, Illinois in the horror film Halloween. Haddonfield’s main drag along Kings Highway is full of unique boutiques and specialty shops like the English Gardener Gift Shop and The Summit Sampler. Eating out in Haddonfield offers tastes from around the globe whether it’s the standout Japanese dish at Fuji, the Italian specialties at Da Soli and Tre Famiglia, or Indian delights at Cross Culture. Phillies manager Charlie Manuel and Flyer Chris Pronger call Haddonfield home. Though ranked last year as one of the top towns in Gloucester County, this suburb didn’t actually appear on the top 25 list for the whole tri-county area, making this year’s No. 3 debut especially impressive. The low property taxes are one of the main attributes here, thanks in part to the large companies that call West Deptford home, such as NuStar Energy. Combine that with balanced neighborhood growth, a strong recreation program, and family-friendly events throughout the year, and you see why West Deptford is starting to get noticed. Soupy Island, a park founded in 1876 as a site for cholera-stricken children to escape the city for the day, is still a very active and beloved site in West Deptford’s Red Bank section, with a new playground and basketball courts opened in recent years. Originally known as the Sanitarium Association of Philadelphia, it was renamed when it became known for providing soup during the Great Depression. Voted one of the best golf courses in the state by Golf Week, the RiverWinds Golf and Tennis Club is a Ron Jaworski-owned 18-hole championship course offering views of the Delaware River. After a round or two, enjoy the fine dining and extensive wine list at the RiverWinds Restaurant; or for those on the go, stop by In a Pickle, a gourmet delicatessen with low-cal and vegetarian specialties. Haddon Township skyrocketed 20 spots on this year’s list thanks to the ongoing emergence of the Westmont area, where a respectable dining scene and a thriving arts community have found a home. Community theater is alive and well at The Ritz while the newly formed SoHa Arts District has given a place for aspiring local artists of all ages a place to call home. Pasta lovers flock to Severino for homemade creations like roasted chicken and gouda ravioli while nearby Treno blisters pizzas to perfection in their wood-burning oven. Just down the block, The Pour House complements their menu with a bevy of craft beers. When the township OK’d a referendum last year to allow the sale of liquor at the Moorestown Mall, some feared that the dry town would lose some of its charming innocence. The fact is, it remains one of the best places to live in the country—not just South Jersey. Just ask anyone who lives there. Sure, there’s always the mall, but Main Street is the place to find custom footwear at Carl’s Shoes, savory desserts courtesy of The Pie Lady, and eye-catching accessories at La Di Da. Mouthwatering spots include Al Dente Italiana and Megu Sushi’s sister location. Philadelphia Eagle DeSean Jackson catches sleep here as well as CBS 3 meteorologist Kathy Orr. Surprisingly, the township didn’t make our Top 25 Towns last year, but they make a rightful return in 2012. One of the larger communities in South Jersey, it’s also one of the most diverse, featuring highly developed areas as well as working farmland. The 80-acre historic Croft Farm, once a stop on the Underground Railroad, is now a performing arts center; The Garden State Discovery Museum blends learning with fun for little ones; the Goodwin Holocaust Museum and Education Center is the only permanent exhibit of its kind in the tri-state area; and Barclay Farmstead Museum is included in the National Register of Historic Places. The Capital Grille has the food to match its upscale atmosphere; Dream Cuisine Café offers an escape to France without leaving Route 70; and Caffe Aldo Lamberti keeps diners hooked with some of the freshest seafood available. The Invincible Vince Papale and political powerbroker George Norcross are some of the folks that call Cherry Hill home. Voorhees has seen growth across the board in recent times. While its population continues to surge thanks in part to a popular “live where you work” incentive for homebuyers, the 11.6-square-mile township has seen Virtua expand its campus while the Voorhees Town Center brings a downtown vibe to the site of the former Echelon Mall. Most of the memorable eateries in town pack plenty of ethnic flavor. Such is the case with the distinctive Asian plates at Chez Elena Wu and Ritz Seafood, the spicy dishes at Coriander Indian Bistro, the homespun Italian favorites at Ristorante Fieni’s, and authentic Afghan cuisine at Ariana. Several members of the Philadelphia Flyers rest here, including coach Peter Laviolette, as does Assembly Majority Leader Louis Greenwald. One stop by sprawling Locke Avenue Park, where the distinct crack of a bat hitting a pitch and parents cheering on their young stars can be heard on nearly any day this time of year, and it’s plain to see this is a family-centered town. Known as the fastest-growing municipality in all of New Jersey—from 3,032 residents in 2000 to more than 10,000 today—this township has seen its struggles as it deals with the rapid growth. However, with an aggressive master plan and mission to attract commercial development along Route 322, its leaders are determined to make it more than just a bedroom community. Where else can you find an annual festival dedicated to two of South Jersey’s biggest agricultural assets: the tomato and wine. It may seem like an odd pairing, but the Tomato and Wine Festival shows off the rich agricultural heritage of Woolwich, while also celebrating the growing popularity of the region’s wineries. Keep an eye out for these latest additions to the Weatherby Town Center: A'Pizze Tuscan Grill—a BYOB from the owner of Toscana in Mullica Hill, which just opened; and YoGo Factory, the latest craze in frozen yogurt. The Phillies’ Jimmy Rollins has a home—and even a backyard batting cage—here. It’s also the home of Adam Taliaferro, the Penn State football player who recovered from paralysis, started his namesake foundation, and is now a Gloucester County freeholder. Mount Laurel is close enough to the city to be considered part of the Philadelphia Convention Center’s hotel system—it actually has the third-highest amount of hotels in the state behind Atlantic City and Newark—yet it has a unique balance of suburban development, commercial corridors and open space. How many towns are known for their technology-sector businesses on one end, and for their open space and municipal-owned nature and animal rehabilitation center (Paws Farm) on the other? While there may not be any mountains here, you can check out the “mount” this township was named after at the intersection of Hainesport-Mount Laurel and Moorestown-Mount Laurel roads. The large hill is where William Evans, one of the earliest settlers, called home in the 1600s. Mount Laurel was home to Alice Paul, one of the leading suffragists and women’s rights activists of the early 1900s. Her home, Paulsdale, is on the National Register of Historic Places and is open to the public for tours. There’s East Gate and Centerton Square shopping centers with all the big-box retailer favorites, but don’t forget about Rancocas Woods, where you can find one-of-a-kind boutiques like Craft Coleidescope, Cran Beary Collectibles, and Daze of Old Gift Shoppe. Plenty. Whether in the mood for ethnic cuisine at Monsoon Fine Indian Cuisine, traditional Italian eats at Carlucci’s Waterfront, or a sweet treat at Gallo’s Bakery, one doesn’t have to travel far here. This seems to be a popular place for Eagles players to retire: Mount Laurel is home to offensive tackle-turned politician Jon Runyan, Action News sports broadcaster Vai Sikahema, and former linebacker Jeremiah Trotter. This small township may have dropped a few places from its debut spot last year, but its population continues to rise—it has seen a 62 percent hike from 10 years prior. What continues to draw people to this quiet corner of Burlington County? The low taxes, especially compared with the rest of the county, and the recreational opportunities and rural escape provided to those commuting to Trenton and other nearby centers of business and commerce. Several notable residents have added to Mansfield’s rich history, including Prince Lucien Murat, nephew of Napoleon Bonaparte. Whether in the market for antiques or collectibles, jewelry or clothes, Amish furniture, quilts and more, the Columbus Farmers Market offers it all from Thursday to Sunday. Add in the popular Produce Row and Flower Row, along with a Lancaster Meats store, and you have one of the largest open-air markets on the East Coast. Published (and copyrighted) in South Jersey Magazine, Volume 9, Issue 2 (May, 2012).